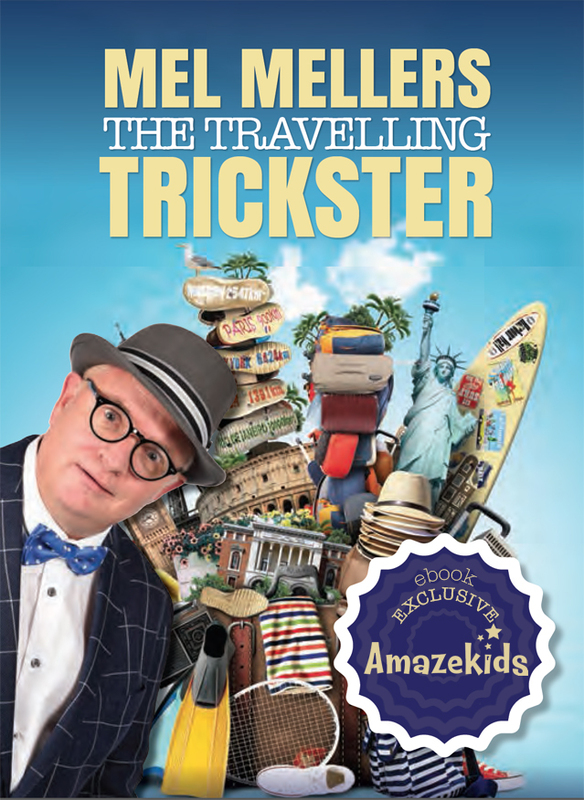 Featuring routines, comedy lines and advice from the UK's top comedy performers, Mel Mellers book 'The Travelling Trickster' is a staple for not only comedy performers, but kids performers too. Mel shares his vast experience, including audience management, misdirection and how to put an act together. Mel Mellers has rightly established himself as one of the nation's favorite stand up performers with his hilariously sharp yet playful put-down lines and quirky comedy plots. Equally at home in front of lay people or a theater full of magicians, Mel's individual performance style, which has been honed over many years as a pro and through countless performances all over the world, is a delight to experience. In this book you get the chance to go behind the scenes with this truly inspiring performer and learn how you too can become a top-flight entertainer. As well as advice on performance, audience management, misdirection and how to put an act together, Mel also covers creativity, the 6 rules of comedy, practicing, hecklers and entertaining children and families. He shares with you scores of hilarious one-liners covering all manners of performing situations that you will be able to use in your shows too. Plus he gives full details of over 50 of his feature routines and ideas, most of which are simple to do and which come with Mel's presentations and patter lines. Mel Mellers is one of magic's real larger-than-life characters, and this book will also explain some of his background, give you various anecdotes from his closest friends in magic about the antics that Mel has gotten into over the years, and will provide you with a thoroughly entertaining and instructive read. The ebook is 148 pages produced in color throughout.